It’s another awesome week of shows around the Bay t with a couple of legendary acts in town, some up-and-comers, and a much buzzed about artist you should definitely know about. The week kicks off with Oakland based Still Woozy (he’s the trending artist you should know about) playing The Catalyst in Santa Cruz as he preps for his upcoming performances at Coachella next week. If you miss him in Santa Cruz he’ll be back in the Bay playing Outside Lands in August. 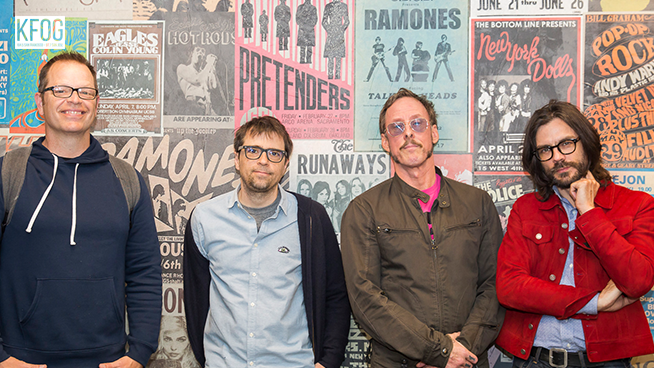 Wednesday a pair of legendary bands take the stage at Oracle with Pixies opening up for the ever-evolving Weezer. Up-and-comers The Interrupters bring their ska punk sound to the Regency Ballroom in San Francisco for what’s sure to be a raucous show. And lastly, if you need to tap into your emo roots circa 2004, Taking Back Sunday play two shows Saturday and Sunday (how appropriate) at The Warfield in San Francisco.